As the conversation progressed, they would talk about holding hands, hugging, kissing, and the list would continue. While the talks always centered around abstinence, the underlying theme was respect. Sometimes as I talk with parents now, it is like the light bulb begins to brighten. As I was growing up the same methodology was used with the breaking of any rule. Breaking the rule = punishment. Or maybe I could talk myself out of the punishment this time. One of the conversations that I try to have with parents as they think about trying to get the “right behavior” from their teens, is to address the behavior change through heart change. In other words, give them an understanding of what it means to show respect to themselves and everyone involved in a particular situation and maybe you’ll change their heart and their behavior. But thankfully she stopped herself. Had she done that, most likely she was have instigated defensiveness and anger from her son tearing apart the relationship. After we talked through her scenario, here’s what she said chose to say to her son. “Well, I’m wondering if they get woken up when their daughter comes in? “I never thought of that”, he replied. When I asked the mom how it was going after the conversation, she was honest. “Well, it certainly isn’t perfect yet. However, he is better about texting me when he is going to be late. I’ve also noticed he’s a lot quieter in the kitchen now,” she laughed. 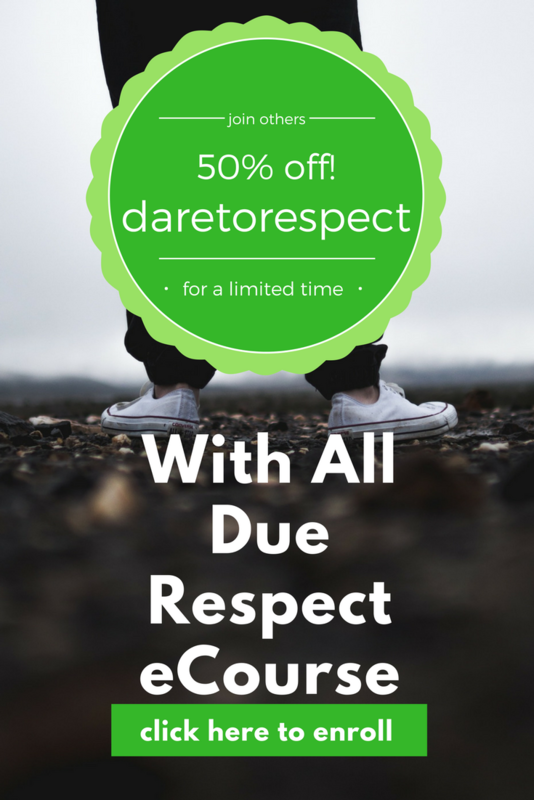 Dare you to look at life through the lens of respect as you teach your kids how to interact with others. When kids learn self-respect, they can more easily apply it to how they can influence others in a positive way. 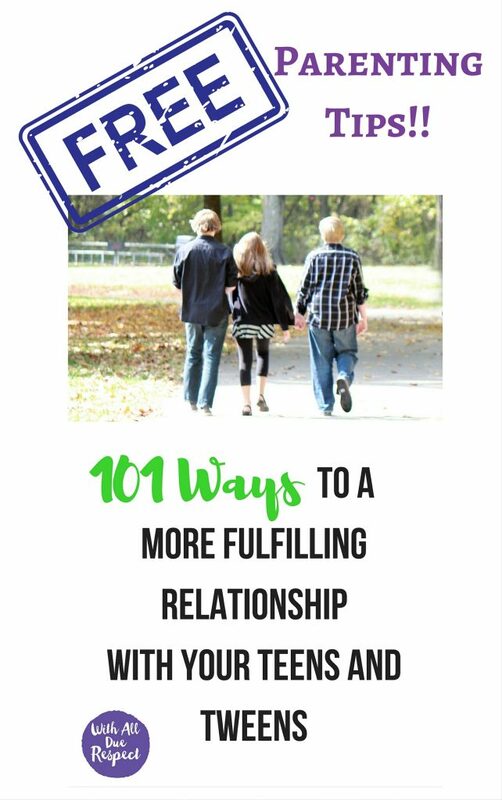 Do you know parents who are struggling with their tweens and teens? Or maybe you have kids that are starting to pull away in a way that feels foreign and a bit unhealthy? That’s why With All Due Respect was written. It will challenge your thinking as you parent toward the launch of your kids into the adult world.